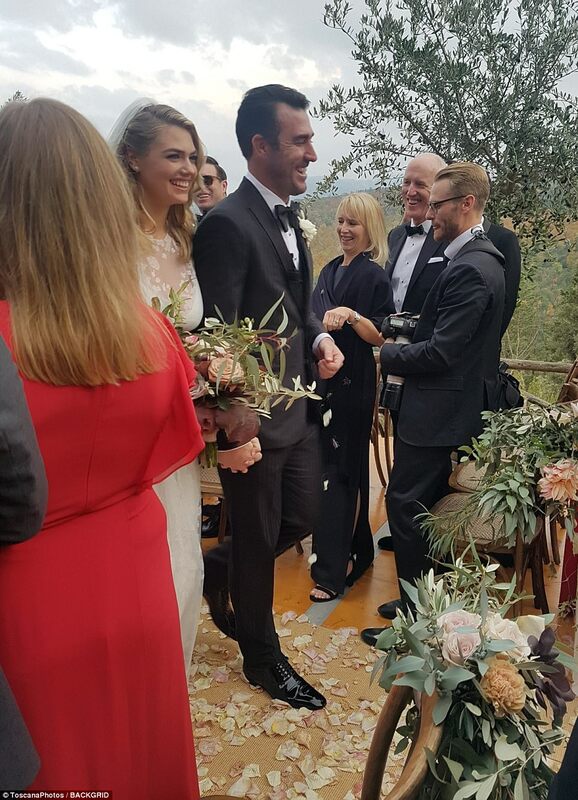 In a romantic ceremony in Italy, model and actress Kate Upton married MLB star Justin Verlander, at the Castiglion del Bosco in the Provience of Siena in Tuscany. The 25 year old model, whose curvaceous physique brought her to fame and features in the prestigious Sports Illustrated Swim magazine. 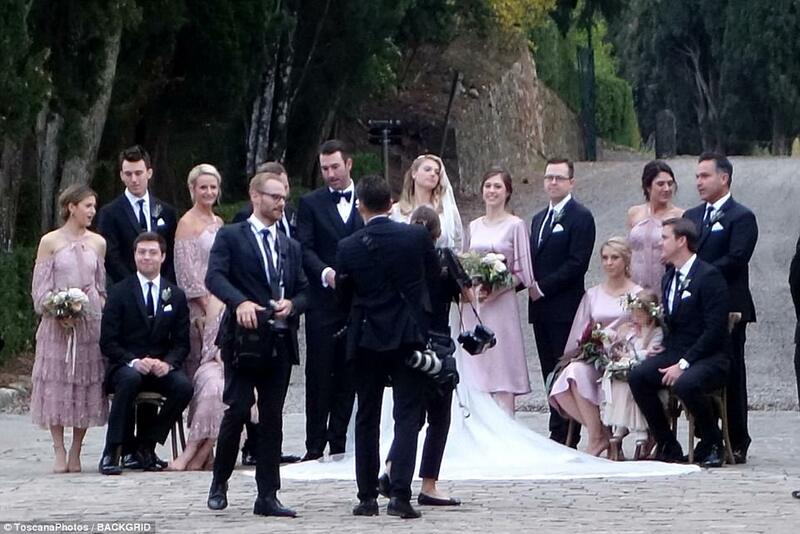 Looking every bit a gorgeous bride, Kate opted to wear virginal white, a full ballgown with long sleeves and sheer lace on the decolletage. 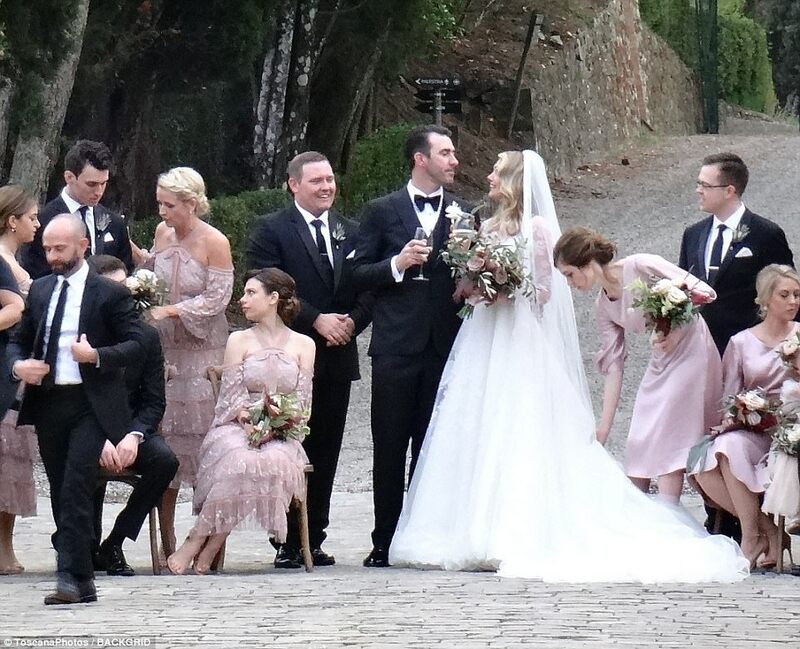 Kate's gown also featured a long train, and the model carried a bouquet of flowers,while her blonde hair cascaded down in loose curls. 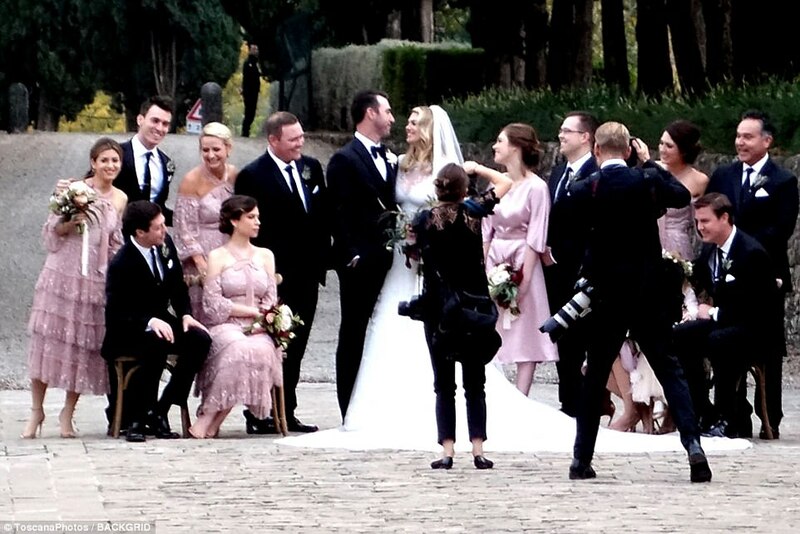 Sporting a soft pink lip and kohl rimmed eyes, Kate was all smiles on her big day, which comes days after the baseball player's victory in the World Series. 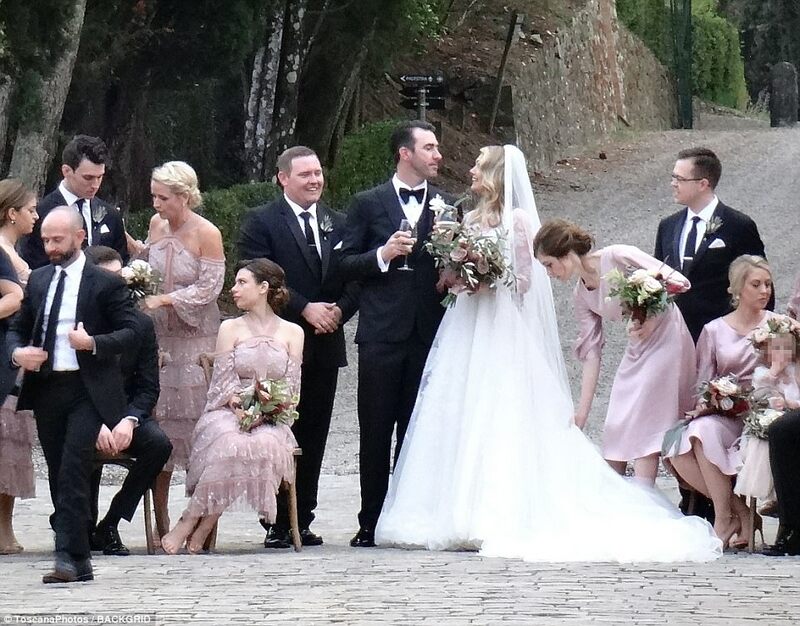 Looking dapper, 34 year old Justin wore a black suit with a black bow tie, while the bridesmaids wore pink off-shoulder dresses with layered skirts. 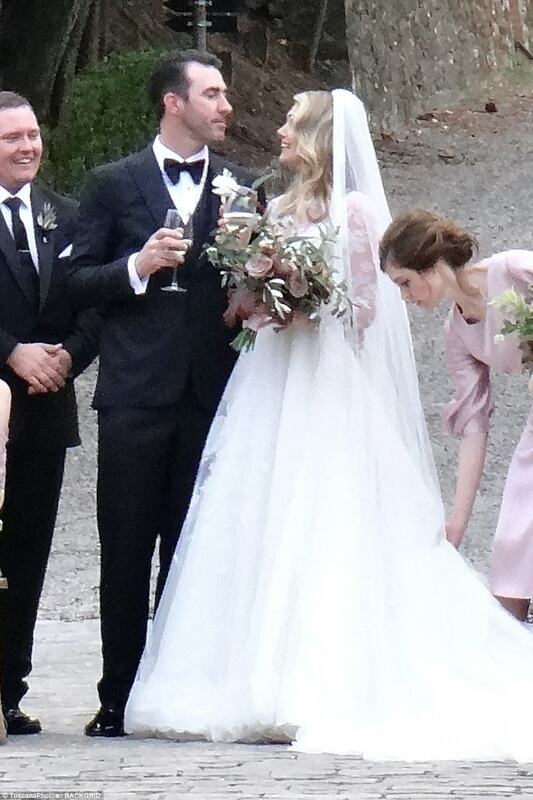 Kate's wedding had a floral theme with a rustic touch, and the model was previously quoted as saying that she finds wedding planning stressful.